You're Always Welcome at C.P. Shuckers! Call (757) 412-2929 for Reservations! Obviously, you have many restaurant options in the area. No one treats you better than C P Shucker's Cafe & Raw Bar, though. We have more than 20 years of restaurant experience, so we bring you the great tasting food that you crave. From steamed shrimp to steak and more, we have a diverse menu at our Oceanfront and Shore Drive locations. Sandwiches, Noodle & Rice Bowls, Soup, Salads and more! Saturday and Sunday: Happy Hour Drink Specials 11am - 7pm! $.75 Wings | $7.00 Half Pound of Steamed Shrimp Karaoke With Casey Every Monday 9:30pm - Close! Tuesday Night: Crab Leg & Wine Night 5pm - We Run Out! 1.5 Pounds of Crab Legs with Hush Puppies & Slaw $18.99 / Red, White, and WINE Night! Select Bottles $10, $15, or $20! Unique and Delicious! Chef Leon Creates a New "Small Bites" Menu Each Week. All Virginia Drafts $3! Live Music Every Wednesday at 9pm! Monthly Tap Tasting Every Third Wednesday of the Month! Thursday Night: Ramen Night 5pm - We Run Out! Chef Leon Creates Different Authentic Ramen Each and Every Thursday! LIVE PATIO MUSIC 6pm - 8pm Every Friday ! Check Out The Events Tab For Complete Schedule! 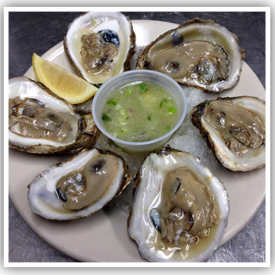 C P Shucker's Cafe & Raw Bar is your destination for good food and fun. 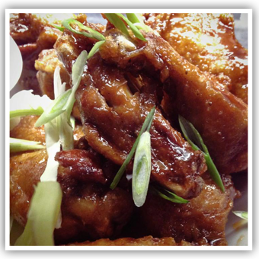 Our menu includes a variety of popular dishes. The aroma of the food alone is enough to satisfy you, but you'll want to eat every bite, too. To ensure we prepare food that tastes great, we buy locally year-round and only use the very freshest ingredients.